In Yeh Rishta Kya Kehlata Hai 17th April 2019 episode, Dadi knows everything and she tells Naira to keep her mouth shut. Yeh Rishta Kya Kehlata Hai is one of the most loving serials of Star Plus. The show is keeping the audience engaged and entertain with its unpredictable storyline with full of twists and turns. 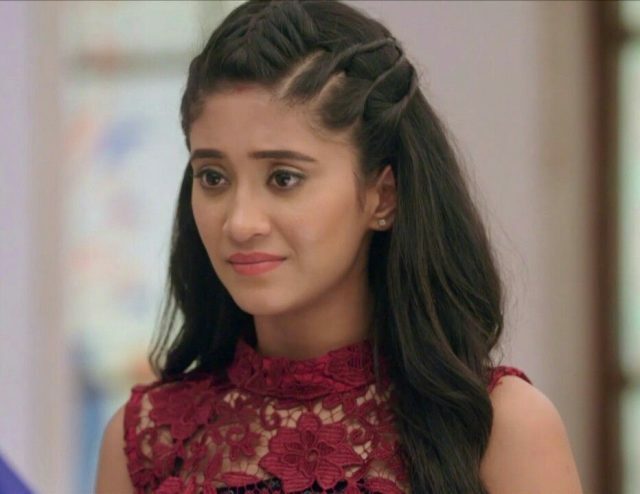 In the previous episode of the show, we have seen that Naira’s doubt converted into truth and she got into a fight with Ila. Naira has challenged Puru Mama to expose him in front of everyone. When Puru Mama saw Naira and Ila fighting with each other, he came there and did a little bit of drama. Naira decided to go to Kartik and reveal Puru Mama’s reality in front of him, but Mansi stopped her by holding her hand. Mansi tried to tell everything to Naira, but Puru Mama saw them talking to each other. Mansi remained quite because of Puru Mama’s fear and Naira noticed that she is quite because of him. Naira is now convinced that Puru Mama has done something wrong with Mansi as well. Mansi went away from there. In yesterday’s episode of Yeh Rishta Kya Kehlata Hai, Dadi came to Puru Mama to make him perform an important ritual. But Naira is determined that she will not let Puru Mama perform such good ritual. She rang up Mansi, but she failed to talk to her. Naira desperately wanted to tell the truth to Kartik, but Kartik just cannot listen to anything against Puru Mama. Naira decided to expose Puru Mama in front of Kartik with all the proofs. Naira also had an encounter with Puru Mama, where he tried to make her understand that she cannot do anything about him. In Yeh Rishta Kya Kehlata Hai 17th April 2019 episode, Dadi knows everything, and she tells Naira to keep her mouth shut. Dadi says to Naira that she has been quiet for a long time and that Naira is also supposed to remain quiet. Naira tries to convince Dadi that her silence is ruining other’s life. She said that Puru Mama had done something wrong with Mansi and herself, but still Dadi has sealed her lips. Tonight’s episode of the show is going to be super exciting which you cannot miss. Stay tuned with us for all the latest updates of your favorite show Yeh Rishta Kya Kehlata Hai and written updates.